A fine place with some traditionally painted walls and open ground. 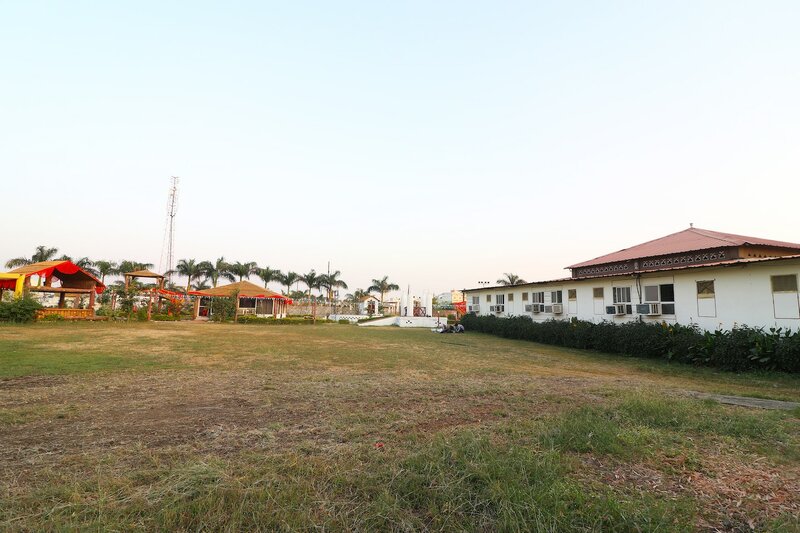 Saaaj Resorts is a beautiful place with a simple structure and an open ground in front of it. The bedrooms at the hotel exude a warm and cozy ambience with its light colored walls and dark wood furnishings. In addition to the basic furniture, the rooms also have a sofa chair which makes for an extra seating space in the room. The hotel provides its guests with free Wi-Fi and power backup so that they may remain connected with the rest of the world. Other amenities offered by the hotel to its guests are a banquet hall and parking facility.